Why go off adventuring, when you can lay back on a lily-pad, letting life float by? Ribbert is a frog of leisure, a relaxed loner who likes the finer things. This chilled out amphibian likes his peace and quiet and personal space - he tries not to involve himself in the goings on of the jungle gang. Ribbert minds his own business, but business doesn’t always mind him - he’s often swept up in Munki and Trunk’s latest catastrophe. He’s the most laid-back, laziest and least socially minded of the jungle crew, but if his friends really find themselves in a pinch or a pickle, Ribbert will hop in to help. 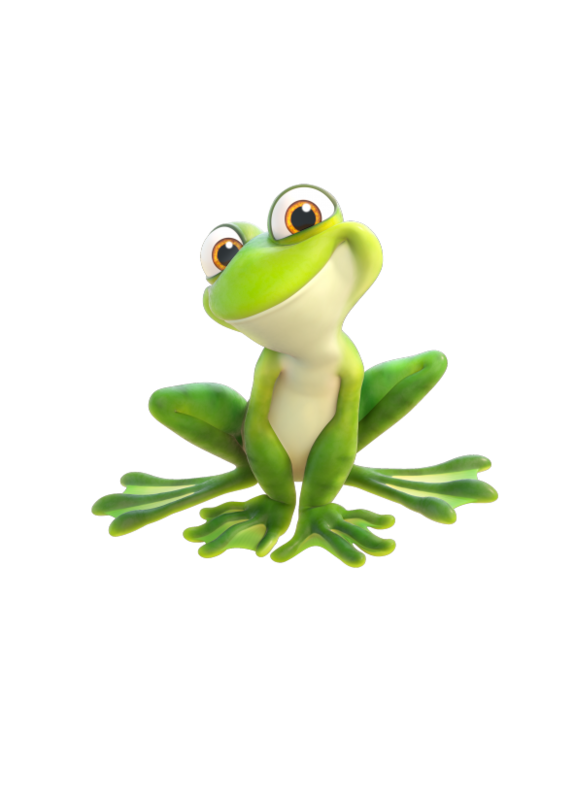 Frogs are amphibians, which means they’re slippery and slimy and can breathe through their skins!